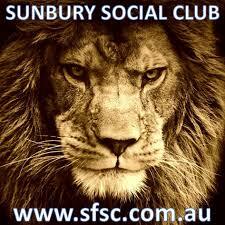 For our first official function for the season we are holding a Games night at Sunbury Indoor Sports. We welcome all players and their partners, even the kids can come along as the Active Kids play centre will be available. This is a great chance to mingle with your new team mates and their families in the all new bar / lounge facilities of our long time sponsor and partner, Sunbury Indoor Sports. Make sure you bring plenty of gold and other coins so you can join in the fun, no 5 cent coins please! When: Saturday, 12th October. 2013 Drinks from 6pm, Games commence at 7.30pm.